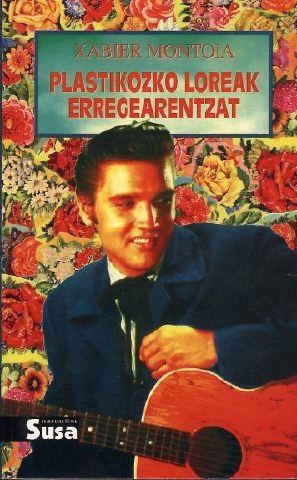 The only original Basque language book about Elvis! A shot from Love Me Tender is superimposed on a backround of hundreds of flowers. The Basque title means, Plastic Flowers For the King.